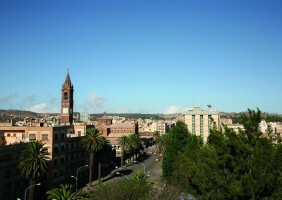 Asmara is home to one of the world’s largest self-contained ensembles of classical modernist architecture and is perhaps to be included in the World Heritage List. 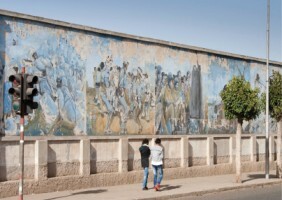 The project takes this approach, but also points out that Asmara is not only the “Frozen City”—a time machine that preserves the past. The city is the product of complex strategies of appropriation. 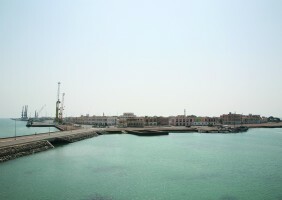 The Eritreans have appropriated colonial architecture and encounter it without prejudice. They discover the touristic potential of their colonial heritage, but also use the icon for their own ‘nation-building-project’. Asmara thus becomes a paradigmatic place for the conservation of a ‘modernist program’ in a postmodern world. It is not only the ensemble that has been preserved, as in a time bubble, but also a ‘programme’ that contains the ‘fatal potential of modernity.’ It is no longer just a matter of complaining about one’s own ‘European heritage,’ but of complex forms of intersection of urbanism, militarism and biopolitics in which the historical parameters of the city are in conflict. 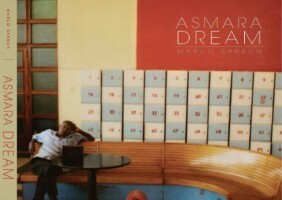 Asmara is not only an archive of memories, but an event that repeats itself. The project does not stop here. It illuminates the manifold strategies of appropriating space. In addition to official planning, there are strategies that develop from the ‘urbanism of everyday life’ and show how people can find creative uses for the unique architecture of their city despite difficult conditions. 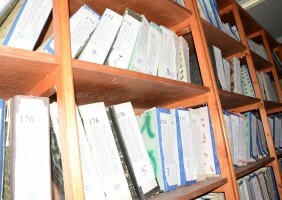 A research project by Bart Lootsma and Peter Volgger, funded by the FWF. Medhanie Teklemariam is an Eritrean urban planner, the coordinator of the Asmara heritage programe and the head of the DoI (Department Infrastructural Services Zoba Maekel, Asmara, Eritrea). The Project ‘The Sleeping Beauty. Architecture and Bio Politics’ is supported by the Austrian Fonds for Supporting Scientific Research (Österreichischer Fonds zur Förderung der wissenschaftlichen Forschung – FWF).